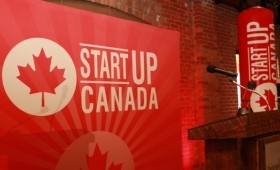 You are thinking about immigrating and/or doing business in Canada? Like the majority of people you consider consulting a lawyer or an immigration and business law consultant, but what happens once you will get your papers and you arrive in Canada? You will then be left to yourself. Then you will see several realities that you have not considered because these consultants and lawyers were not able to inform you and prevent several practical aspects of the business world related to the field of construction and real-estate. So you lose a lot of time and money to educate yourself on the laws, codes and regulations, obtaining licensing for your projects, market demands in Canada, looking for good opportunities for land or buildings, finding the right contractors and many other things in immigration and related to projects and business. Construction Daniel Dargis Inc. comes to your assistance by helping you, not only before your arrival to facilitate your access to immigration and business, but also after as you are learning about the business process in Canada and managing your projects. Sell products, services and projects in Canada. For foreign business people and immigrant investors in Canada, the Group www.dargisconstruction.com along with www.canada-visa-business.com and www.montrealcie.com act as a group of Canadian business advisors, marketing and business launch specialists in the area of construction in Canada, construction and real-estate investments experts, lawyers in business for immigrant investors and taxes immigration specialists in Canada. The group receives demands of projects from Canadian clients and distributes the projects to members, entrepreneurs and contractors located in Canada and foreign enterprises having their branches through Construction Daniel Dargis Inc. Foreign enterprises can have access to a wide range of services allowing them to first get general information about starting in business and doing business in Canada, then get a complete business accompaniment and support in the process of establishing a business or a branch, invest in real-estate, mount and do projects in Canada. 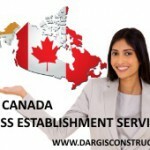 Finally, once the foreign branch or business is settled in Canada the foreign investors get referral of projects in Canada through Construction Daniel Dargis Inc. This is a complete business support package in order to start a business, start real-estate projects or get projects and contracts and increase sales in Canada for the foreign company. All of this is available under the direction of Mr. Daniel Dargis, a Canadian engineer and president of a Canadian construction and engineering company for over 25 years in Canada.